film location tours, fan trips, TV show audience trips, celebrity trips and tours, celebrity watching, performances and holidays and cruises with showbiz stars. See favourite TV personalities and celebrities live in person at talent and comedy shows across the UK. Popular TV shows are represented, such as: Strictly Come Dancing and Good Mourning Mrs Brown. Packages include hotel stay, show tickets and coach travel. Online one-stop-shop for tours in Scotland; offering various tours from the most recommended tour guides in Scotland. Scotland sightseeing tours from Edinburgh, Glasgow, Aberdeen, Inverness and selected cruise ship ports. Many different tour types including: coach tours, city breaks, historical, student travel, landscape, whisky tours, film locations and much more. A unique Paris hotel for film lovers, inspired by the golden age of Hollywood and with a strong Marilyn Monroe theme. This design hotel is located in the 15th district, just a 20 min walk from the Eiffel Tower. Guest bedrooms combine modern design with the retro charm and glamour of the silver screen. Red Carpet Tours offer 10 and 14-day Middle Earth Tours movie tour packages to locations used in the filming of The Lord of the Rings trilogy, often with unique access to privately owned property – a unique way to discover New Zealand! Cruises with a mission – to boldly go where no other cruises have gone before! These are officially licensed Star Trek cruises departing from Miami, Florida and offering 6-days of unique Star Trek experiences: performances, comedy shows and concerts. Hosted by Captain Kirk (William Shatner) and other Star Trek actors. Film and television themed tours and short breaks. Check Themed Events for MasterChef breaks/cruses, and exhibitions such as the Star Wars interactive exhibition. 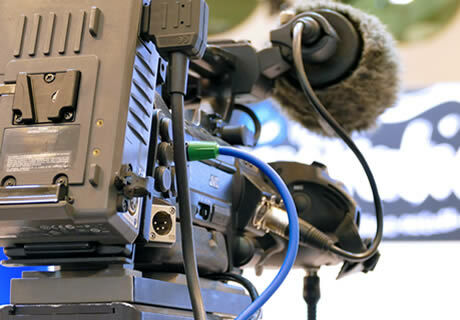 Check Film & Studio TV Tours for studio tours and filming location trips. Visit and stay in the the real life locations filmed for the TV programme Midsomer Murders. This site is packed with details about the, very English, market towns, villages and rural countryside used as filming locations; information on the TV programme, as well as places to stay for a short break. Also self-drive tour guides and touring maps. Star Breaks are short hotel break packages where you can enjoy the magic of sensational star performers – be it the dancing talents of Strictly Come Dancing stars, the comedy of Lenny Henry, or the sounds of Lulu or The Overtones. These are performances with the star celebrities themselves, not tribute bands or lookalikes! Vacation packages with hotel and entrance to Universal Studios in Hollywood and Orlando. Go behind the scenes at a working movie studio. Universal Studio packages include, early park entry, theme park rides, shows, a real working movie studio, shops, restaurants and cinemas. Self-catering holiday accommodation at the filming location for the popular TV series The Darling Buds of May; including the original 'Larkins' farmhouse. Ballroom dancing dance holidays in Manchester, Stockport and South Devon, with the stars of BBC television's Strictly Come Dancing. A unique tour for Mini enthusiasts and fans of the cult film The Italian Job. A driving tour/road trip, starting in Dover, that takes in the film's locations in Italy. Guided multi-day tours to Harry Potter film locations in the south of England, including London Oxford, Lacock, Stratford and Gloucester and visiting locations used in the films. Create your own Poldark tour; a site providing Poldark film locations, locations associated with the books and mining, tour itineraries and holiday accommodation information. Ticket and hotel packages for a varied selection of film and TV studio and set tours and film location packages across the UK, such as: Game of Thrones tours, the Making of Harry Potter, Emmerdale Experience, DreamWorks Tours: Shrek's Adventure, and Downton Abbey tours. A short break for Potter fans, visiting The Making Of Harry Potter at Warner Bros Studio Tour. This package includes a wizard day with the costumes, sets and mind-blowing props from the Harry Potter films and books. Plus an afternoon tea in the De Vere Hunton Park and a night at the Mercure London Watford Hotel (double or twin room with buffet breakfast included, WiFi, TV, and use of swimming pool and fitness suite). A short break by coach visiting The Emmerdale Studio Experience at what was the Leeds ITV studios. An interactive experience where you can see the sets of this award-winning TV soap, learn about the production processes, the storylines and characters, and discover the behind-the-scenes secrets of the special effects and stunts used. The tour also offers opportunities to see Leeds city centre as well as an excursion to floral Harrogate. The travel-quest cinema, films, movies, tv, celebrity and stars section lists tours, holidays, vacations and short breaks related to television, films, movies and cinema – including: fan and location tours, backlot tours of film and television sets, and TV show audience participation trips. Also celebrity and film/tv star based trips and tours, such as: celebrity cruises, holidays with movie stars, or tours of the areas where showbiz stars live. Film and television programme making courses, and courses in writing for the screen are dealt with in a separate category, here». Make a day of it with this range of location walking, cycling and bus day tours to sites used for filming by the movies and television. Typical examples include a London James Bond movie tour, an Oxford cycling tour taking in many locations from the popular TV series Inspector Morse, a Game Of Thrones tour in Ireland and a London Jack the Ripper tour. This is the Travel-Quest cinema, film, movies, TV, celebrities and stars section. Please see the notes above for the category description.